Wire Mesh Stainless Steel Trays are designed to maximize water and steam penetration by using a 4.6mm cross weaved aperture. 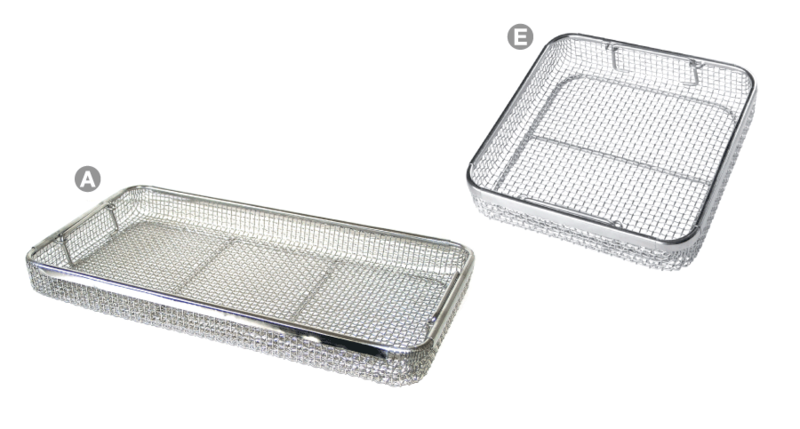 Wire Mesh Trays are manufactured using a “no sharp edge” design, electro polished, high quality and available with or without lids. 2009 - 2016 Cheiron Healthcare. All rights reserved.